Design education begins with learning and understanding the Principles of Design. 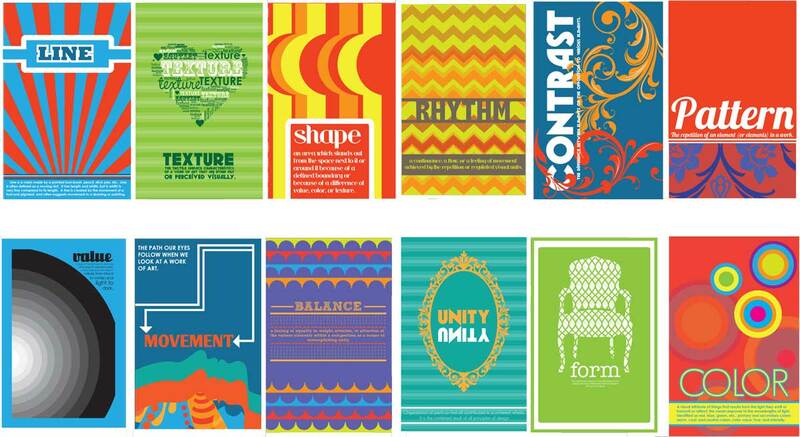 For most projects these 6 are useful: Balance, Contrast, Movement, Pattern, Rhythm, and Unity. Image & Text sources. 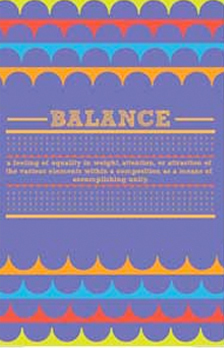 Balance is the distribution of the visual weight of objects, colors, texture, and space. If the design was a scale, these elements should be balanced to make a design feel stable. 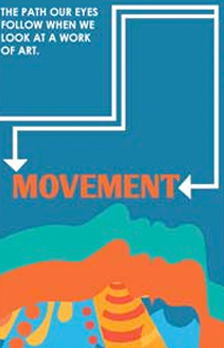 Movement is the path the viewer’s eye takes through the design, often to focal areas. Such movement can be directed along lines, edges, shape, and color within the design. 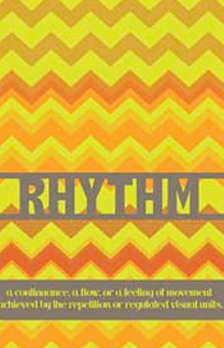 Rhythm is created when one or more elements of design are used repeatedly to create a feeling of organized movement. Rhythm creates a mood like music or dancing. To keep rhythm exciting and active, variety is essential. 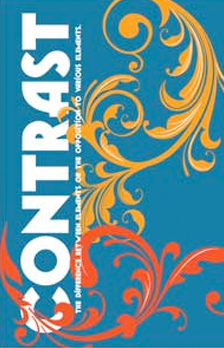 Contrast or Emphasis is the part of the design that catches the viewer’s attention. Usually the designer will have one area stand out by making it different in size, color, texture, shape, etc. 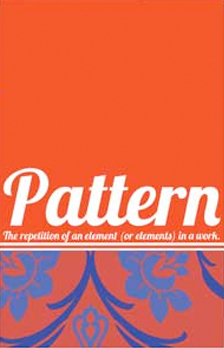 Pattern is the repeating of an object or symbol throughout the design. 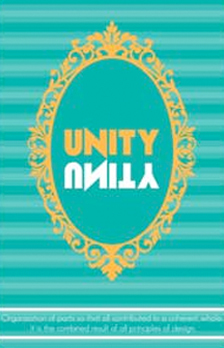 Unity is the feeling of harmony between all parts of the design, which creates a sense of completeness.